Torchbearer manager, pipe bender, remote-piloted aircraft designer: these are just some of the interesting jobs titles offered in Russia in 2013. Journalists were asked to chose the five most unusual jobs offered to Russians during 2013. Job titles such as torchbearer manager, pipe bender, agitation operator and remote-piloted aircraft designer were found. 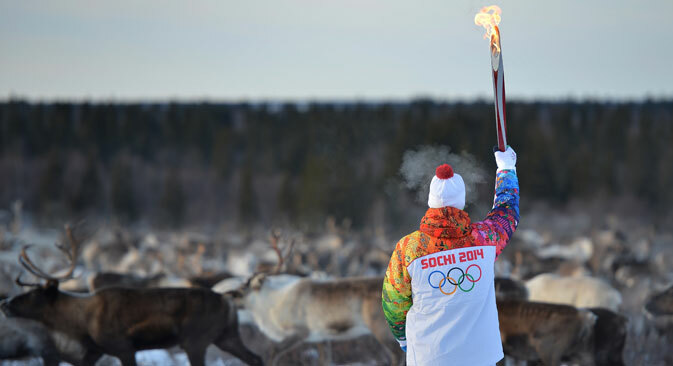 Organizers were looking for a torchbearer manager in Moscow to manage the Olympic Torch Relay. The job's minimum requirements were simple: Russian citizenship and work experience with V.I.P. guests, as well as polite manners and political correctness. The salary for such a job was from $1,500 to $2,000. The main disadvantage was that the job was temporary, only during the Olympic Torch Relay. A gold mining company in the Irkutsk region was looking for a site manager for an underground mine. The job description stated that the site manager had to arrange the work at the site, follow fire precautions, and provide sanitary and other standard requirements to the personnel. There were also personal qualities required: the site manager was supposed to have leadership skills, to be energetic, stress resistant and be a person with initiative. The salary was listed as $3,000 per month, but no gold was included. The requirements for the agitating operator were as follows: experience, tidiness, secondary or higher technical education and general English. The position was listed as full time with a salary of $1,300. The job of the chief designer of remote-piloted aircrafts is not that unusual until you see who the employer was: Sun Products. The company operates in the production, promotion, wholesale and retailing of food. So why does the company Sun Products need remote-piloted aircrafts? Perhaps it is a new delivery service. In the provincial town of Gryazi they were looking for a pipe bender for a ship. The successful candidate would be provided with accommodation and compensation for passage fares. The salary was $2,000 to $2,300. The pipe bender had to bend pipes using machines and not manually. It was not indicated how many pipes had to be bent each day. The pipe bender should be no older than 55 years and with no bad habits, as this would disturb him while bending the pipes, the listing said.